The primary area of Martin’s practice is employment law but he also has considerable experience of professional liability, commercial and professional regulatory law. He is an Associate Member of Magdalen Chambers and a member of Littleton Chambers in London. He divides his time between London and Devon where he has a house. Martin has been described in earlier editions of the directories as "free from any airs and graces and extremely easy to deal with." "Very calm and collected, he can explain things clearly to clients in a non-legalistic manner." He is "incredibly knowledgeable on whistle-blowing issues" has"many fans” and being "thorough and bright". Martin is able to accept instructions under the Bar’s Public Access scheme. Martin is an ADR Group Accredited Mediator and has acted as Mediator in over a dozen employment and professional negligence disputes. Martin acts for employers and employees in most areas of employment law. Although much of his work is for private sector clients Martin has very considerable experience of the public sector, local government, the NHS and educational establishments. He understands the particular difficulties and nuances of public sector work. At appellate level his appearances include cases on jurisdiction of employment tribunals over overseas employments; Jackson v Ghost Inc  IRLR 824 and Financial Times v Bishop EAT . Dan Tran v Greenwich Vietnam Community  IRLR 735 CA concerned the duty of an ET to give reasons. Martin acted for the successful employer/respondent in Hepworths plc v Akers EAT  on the introduction of new terms and conditions by employers and the role of the law relating to duress in those situations. Other appellate work includes Hinton v University of East London CA  IRLR 552 on compromise agreements; Governing Body of St Albans School v Neary CA  IRLR 124 on ET procedure and orders for costs in the Court of Appeal; BP v Elstone  IRLR 558 on the meaning of “employer” in the whistleblowing legislation; Bournemouth Borough Council v Leadbeater  UKEAT on the procedure for and principles to be applied in a review of a default judgment; Howman v The Queen Elizabeth Hospital Kings Lynn  EAT on costs in the ET; HCL Safety Ltd v Flaherty  UKEAT 0021_13_1107 on the proper test for unfair dismissal and Noor v Metroline Travel Ltd  UKEAT 0059_14_1707 on whether appeal to EAT should be kept open or dismissed where there is a potential further appeal. Contributor to Transfer of Undertakings, Lewis, Thomson Sweet and Maxwell, ongoing. Acting for the Head of Asset Management of a major international bank and for other FCA regulated employees in relation to protected disclosures made to their employers. Acting for a major city council in relation to a claim by an employee in its social services department that he was victimised for making protected disclosures. Acting for a large police force in relation to claims of detriment by a civilian worker following whistleblowing. Martin is co-author (with John Bowers QC, Jeremy Lewis and Jack Mitchell) of “Whistleblowing, Law and Practice” (now in its second, 2012, edition), a leading text which is cited in many of significant CA and EAT authorities. A cumulative updater is available by clicking here. He has recently completed a nationwide series of talks on Whistleblowing for the Employment Lawyers Association. Joint Editor of the 2010 and 2012 editions of the Equal Opportunities volume of Atkin: Court Forms (Butterworths) and a contributor to the Law Society’s Guide to the Equality Act. In the area of Transfer of Undertakings Martin has advised or acted for a wide range of clients including airlines, insurance companies, outsourcing contractors, solicitors and local/regional government institutions. He has fought and advised on a number of cases concerning the service provider change provisions of TUPE 2006. He appeared in Playle v Churchill Insurance (EAT) on the issue of whether an economic entity retained its identity following a transfer. Jones v Cornwall County Council and Others: Bristol ET: whether TUPE 3 (1) (b) applied where the Law Society changed the composition of a panel of solicitors providing advice via a national helpline. Issues of fragmentation. Defence of claim for protective award on failure to consult on takeover of building materials supplier, when were duties of consultation engaged? Defence of claim of breach of the information and consultation provisions on transfer/appropriate protective award. 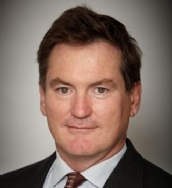 Martin is a Contributor to “Transfer of Undertakings”, Sweet & Maxwell (ongoing) and to “Cross Border Transfers and Employee Rights” Tothill 2004 ed Susan Mayne, and has written various articles with John Bowers QC on this area. Martin has extensive experience of High Court employment litigation. He has advised in connection with and appeared in litigation for interim relief and final remedies based on covenants and implied contractual or fiduciary duties involving (amongst others) bond dealers, insurance brokers, architects and stockbrokers. He has given many lectures on the subject. Recent work includes acting for a major energy supply company in an application for interim relief against an energy broker and ex employees of the company concerning confidential information relating to customers. Litigation between businesses has always formed part of Martin’s practice at the Bar. His employment practice will often give rise to questions involving contracts between companies as well as those with employees whether the issue arises in the competition field or otherwise – for example in business sale agreements or agency arrangements. Acting for or against senior employee shareholders necessitates consideration of unfair prejudice remedies. Martin has also worked in the wider commercial arena covering debt recovery insolvency claims – appearing- for example for McDonalds in McDonald’s Restaurants Ltd v Urbandivide Co Ltd – where Parker J was persuaded that a winding up petition against McDonalds should be restrained. Advice, representation and mediation in respect of disputes and issues between partners and members of LLP as to rights, liabilities and indemnities under partnership and LLP agreements including restraint of trade issues. Discrimination claims as between partners. Representation of employees regulated in the financial services sector facing regulatory proceedings. Martin is an ADR Group Accredited Mediator and has acted as Mediator in over a dozen employment and professional negligence disputes through Littleton Dispute Resolution Services Limited.